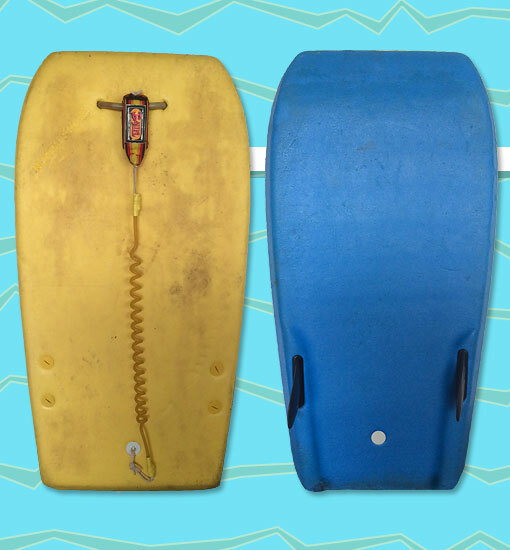 The North Shore model from Sure Craft was one of the more advanced boards on the market at the time, featuring a built in handle and a “tunnel bottom”. The tunnel bottom looked like two convex zones that protruded from the board to redirect the flow of water for better tracking. It was a design favored by dropknee pioneer Jack Lindholm, eventually showing up on his Easy Rider “The Ripper” and Wave Rebel “Jack the Ripper” signature models. This particular board features after-market skegs and leash. Photo: Michael Le Busque.